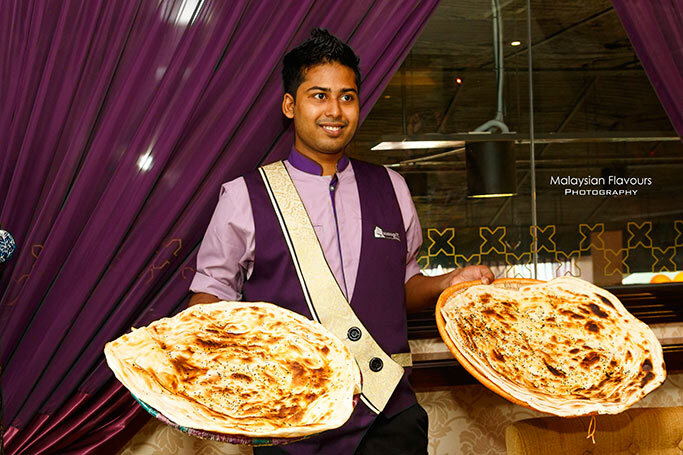 Indulge in the true essence of authentic Yemeni cuisine with top notch service at Marhaba Restaurant. 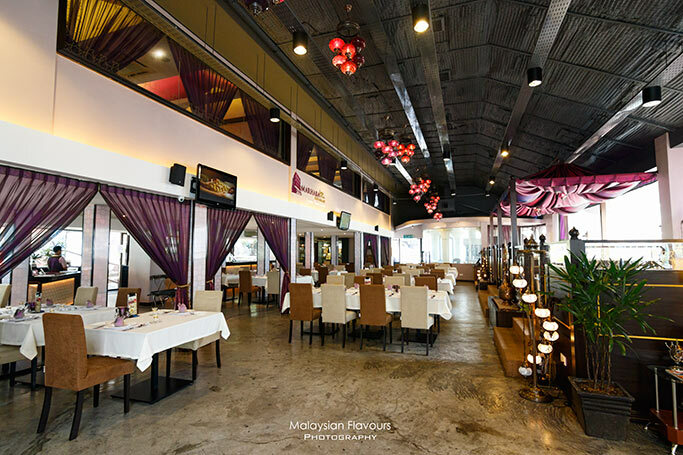 Marhaba Restaurant, which can now be found at Publika Solaris Dutamas Kuala Lumpur and Bandar Sunway (opposite to Sunway Resorts & Hotel), offers guests with Middle Eastern fine dining experience by serving rich traditional Yemeni delicacies freshly prepared by skillful chef hailed from Yemen. 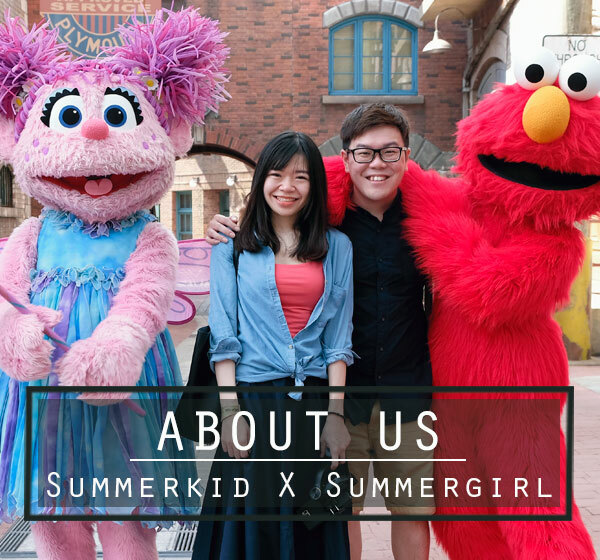 We visited their outlet at Bandar Sunway last weekend, and truly amazed with the grandeur interior that fits a wedding, corporate and special event. 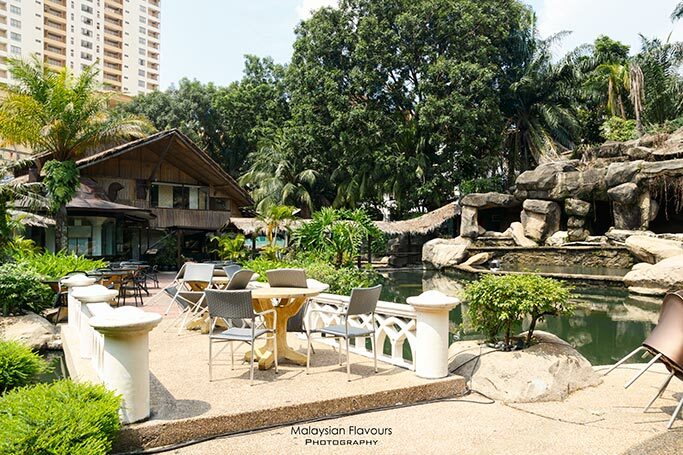 Marhaba restaurant at Sunway is separated into four section- Majlas that has 4 rooms, 3 VIP rooms that can seat 70 persons, general dining area of 150 seat capacity and outdoor terrace garden that can occupy about 50 persons. Menu is extensive, covering from salad, kebab, hummus, Yemini bread, grilled seafood, and more. Among the highlights are Yemeni Bread and Lamb Hanith. Fresh vegetable sticks and lamb soup are served as complimentary dishes upon arrival. 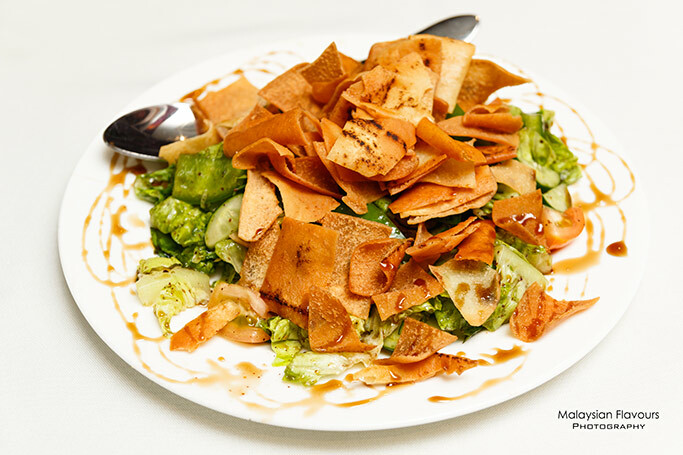 For appetizer, we opted for Fatoush, a bed of mixed fresh green including tomato, cucumber and Romaine lettuce generously sprinkled with Levantine bread, or toasted pita bread that adds addictive crunchiness to the overall texture. Next, check out the Mulauwah which is super huge, almost 5 times the size of our face. This Yemeni bread is made fresh, baked in hand-burning tandoor to result in crispy at the egde, chewy and doughy at the center texture. 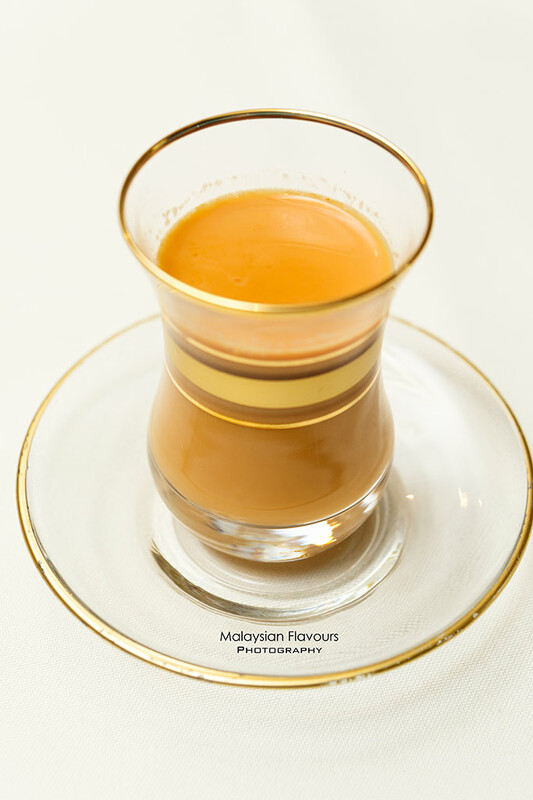 Tear a piece of Mulauwah and douse into Saltah Fahzah to have your bread instantly flavoured up with creaminess and mild spiciness of red hot gravy. Further laid with shredded sizzling lamb which doesn’t showcase unpleasant gamey flavour. Grilled platter served in pita plate, sided with fresh yogurt and fries. Diners can choose from Shish Kebab (Grilled minced lamb marinated with Marhaba mixed herbs), Shish Tawook (Juicy boneless chicken breast marinated and grilled), Lamb Cube (Bonesless lamb cutlets marinated and grilled), or a mixed of all. One of the best sellers in Marhaba, with serving size that can serve up to two or three. 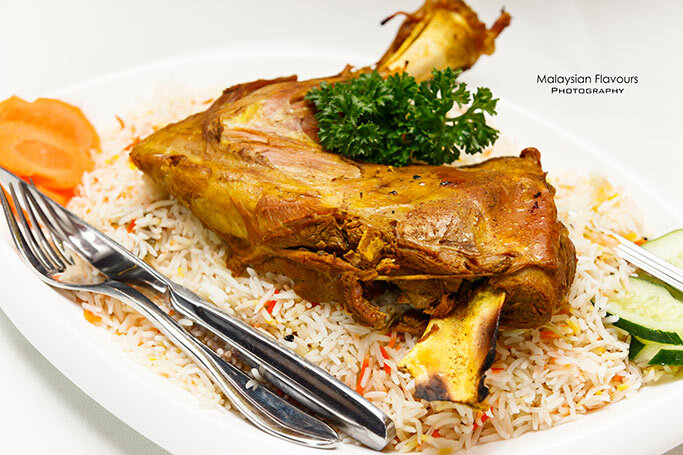 Lamb ribs or shoulder is first marinated with Marhaba’s secret spices, placed in traditional tandoor and slow-cooked with care to achieve the best flavour. Gaminess is pronounced, hence it can be a yay or nay depends on personal tastebud. 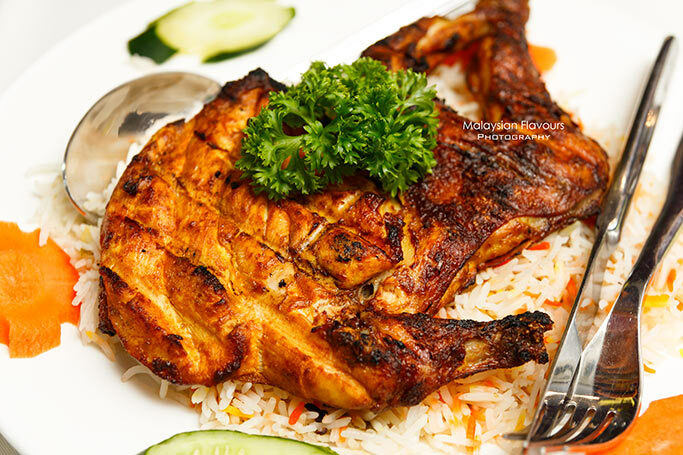 In contrary to Lamb Hanith, Marhaba Chicken Mazbi can easily become the crowd favourite. The whole chicken leg is rubbed with traditional Yemeni spices and barbequed till slightly charred at the surface; tasted good albeit a bit dry, thanks to the pleasing aroma that is deeply infused into the meat. 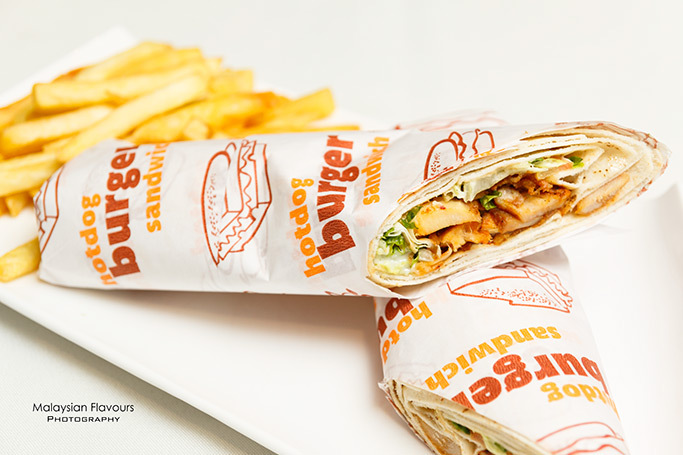 For diners who wish to go light, get an order of Shawarma Chicken, featuring chicken slices and lettuce enveloped in pita wrap. Classic, but you can hardly go wrong with the mouthful of tenderness within chewy bread. 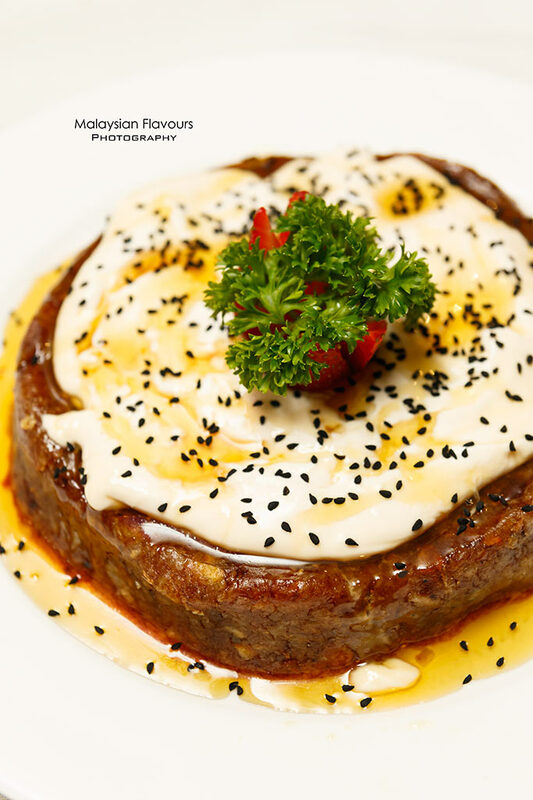 End the meal with Yemeni special dessert- Honey Tammar that looks like a meat pie to us. It has a combination of mashed banana, dates and bread shaped into round, like a pie, then thickly slathered with keshta cream and drizzled with honey. Tastewise, it is pretty close to a Christmas pudding, or dates pudding, but a lot more sweeter, dense, and filling. Energy-boosting sweet treat. In short, our try at Marhaba Restaurant was memorable. 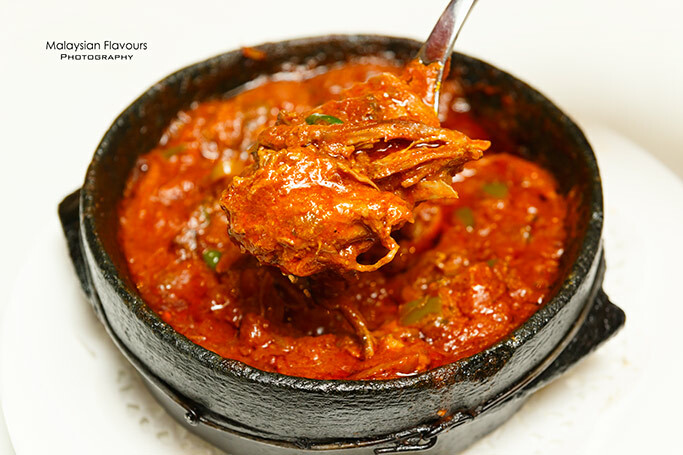 Every dish is unique, with sharp and bold flavours of spices developed in our palates throughout the meal. Get adventurous and pay a visit, who knows you will love Yemeni food! Just make sure you bring along more friends, and big empty stomach, as food portions are huge.